Valentin has never met a more fascinating woman. 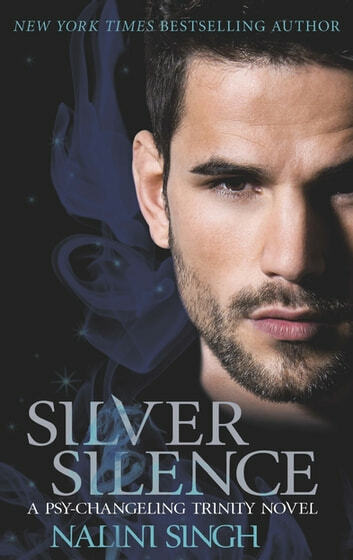 Though Silver is ruled by Silence - her mind clear of all emotion - Valentin senses a whisper of fire around her. That's what keeps him climbing apartment buildings to be near her. But when a shadow assassin almost succeeds in poisoning Silver, the stakes become deadly serious . . . and Silver finds herself in the heart of a powerful bear clan. Her would-be assassin has no idea what their poison has unleashed . . .
Silver Silence is part if the Psy/Changling series. It is an interesting and riveting story telling that winds and entwines. It is story telling at its best and doesnt rely on pages of sexual language antics to hold the readers interest.